This paper, perhaps for the first time, investigates the long history of asset returns for all the major categories of an economy’s investable wealth portfolio. Our investigation has confirmed many of the broad patterns that have occupied much research in economics and finance. The returns to risky assets, and risk premiums, have been high and stable over the past 150 years, and substantial diversification opportunities exist between risky asset classes, and across countries. Arguably the most surprising result of our study is that long run returns on housing and equity look remarkably similar. Yet while returns are comparable, residential real estate is less volatile on a national level, opening up new and interesting risk premium puzzles. 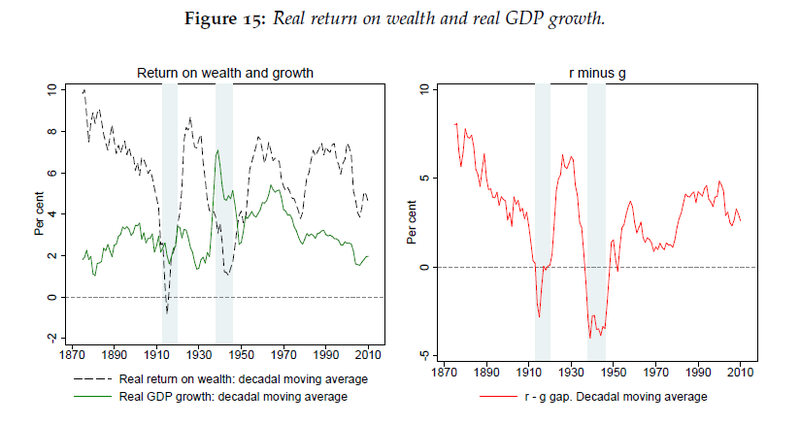 Our research speaks directly to the relationship between r, the rate of return on wealth, and g, the growth rate of the economy, that figure prominently in the current debate on inequality. A robust finding in this paper is that r >> g: globally, and across most countries, the weighted rate of return on capital was twice as high as the growth rate in the past 150 years. These and other discoveries set out a rich agenda for future research, by us and by others. Many issues remain to be explored, among them determining the particular fundamentals that drive the returns on each of the asset classes in typical economies. 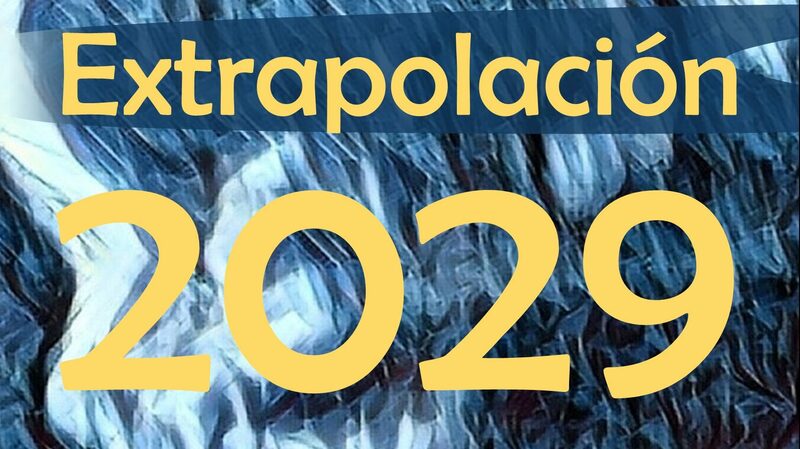 For now, we hope our introduction of this new universe of asset return data can provide the evidentiary basis for new lines of exploration in years to come. With Mr. Keynes permission, in 150 years we all surely will be dead, but just in case we’d better buy a house! (1) Jordà, Òscar, Katharina Knoll, Dmitry Kuvshinov, Moritz Schularick, and Alan M. Taylor. 2017. 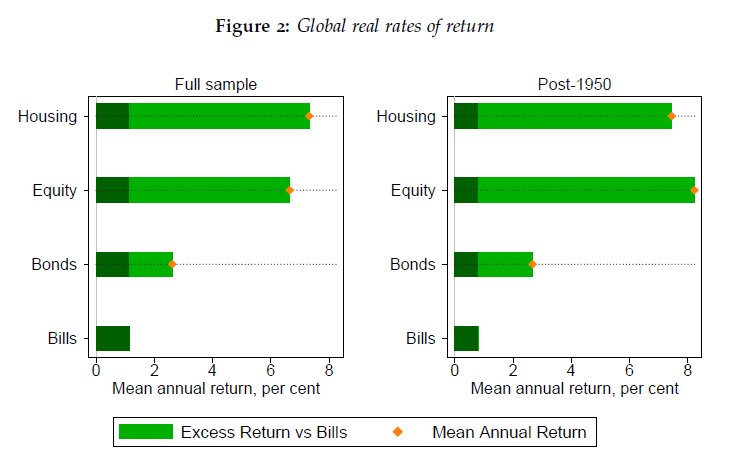 ‘The Rate of Return on Everything, 1870–2015’. Working Paper 24112. National Bureau of Economic Research. https://doi.org/10.3386/w24112.